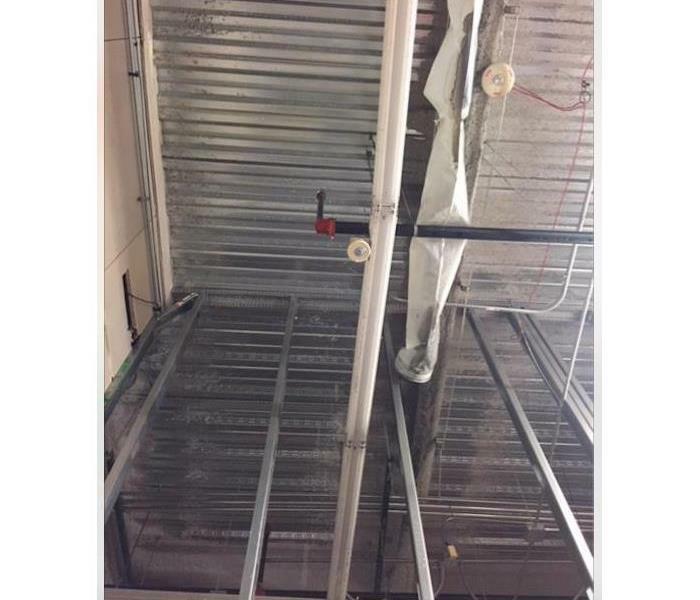 After a pipe break in this commercial building, SERVPRO responded to begin clean up procedures. The team has equipment for all your drying needs. Contact us anytime for your Commercial Water Restoration emergency. This retail basement suffered from significant water damage. SERVPRO responded and quickly began mitigation. The team is trained with special water mitigation techniques to extract the water quickly. For your water restoration emergency contact us at (847) 795-9200 24/7. 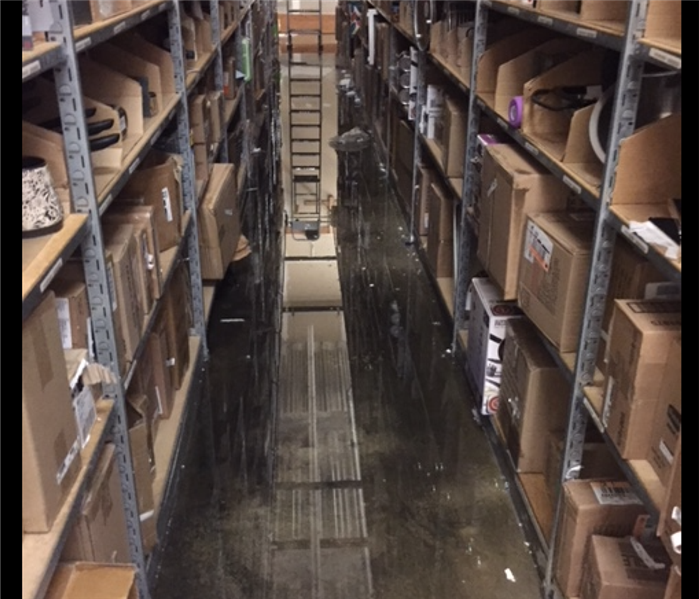 After a malfunction of a commercial sprinkler head, this store suffered from significant water damage. The product was damaged from the water. The team used special mitigation procedures to remove the water and restore back to normal conditions. 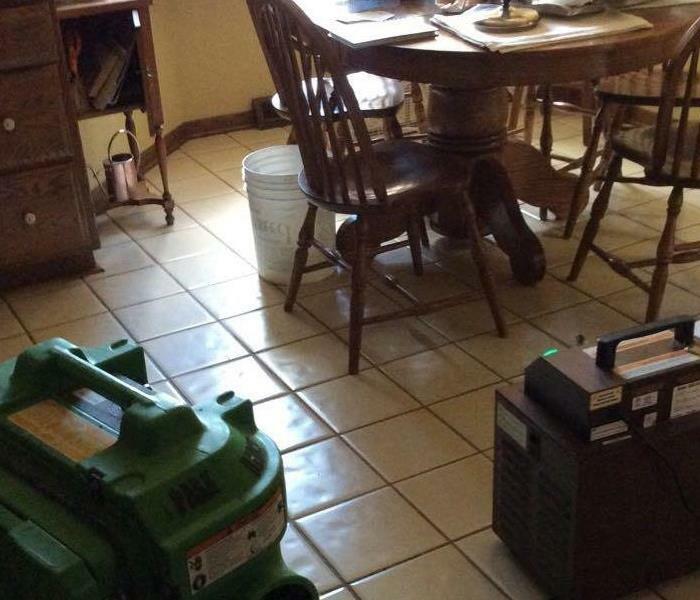 After a commercial water loss, SERVPRO responded and began mitigation procedures. 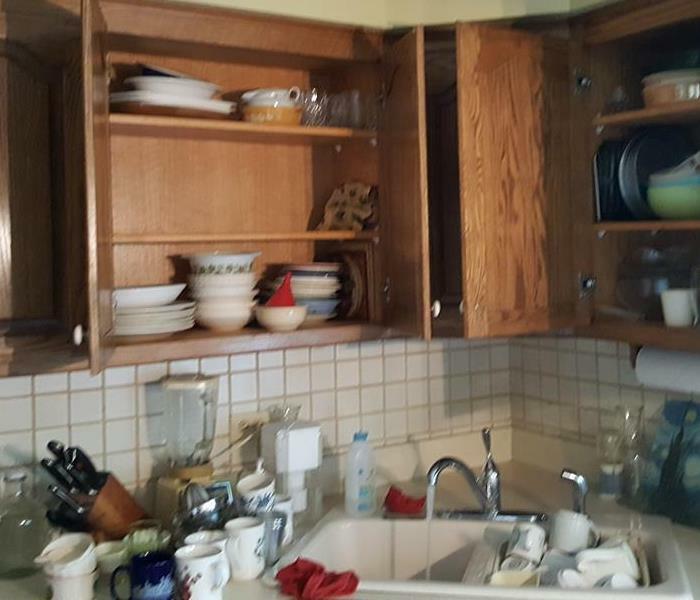 There was significant water damage. 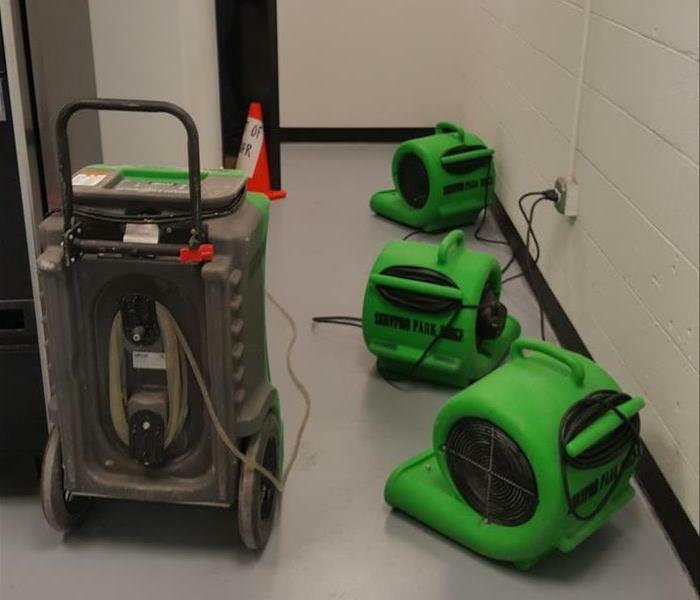 The team used dehumidifiers and air movers to dry the area quickly preventing future damages. 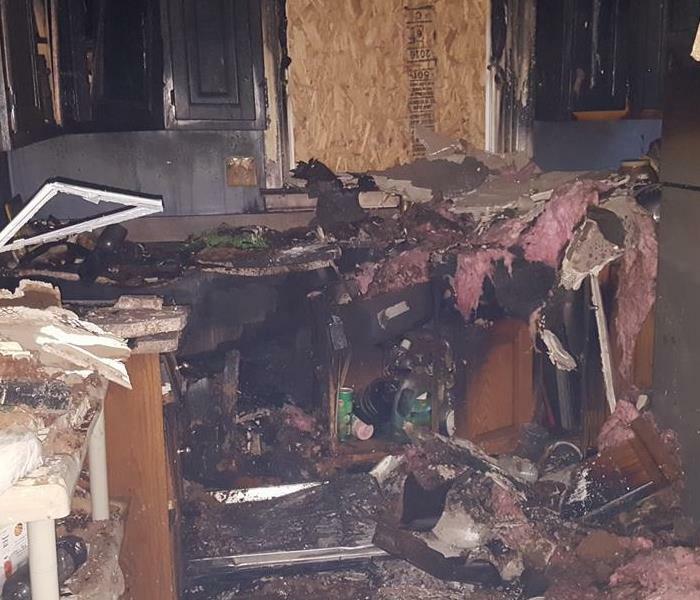 This home suffered from a kitchen fire. The team at SERVPRO responded immediately and began clean up procedures. There was significant smoke and soot stains. 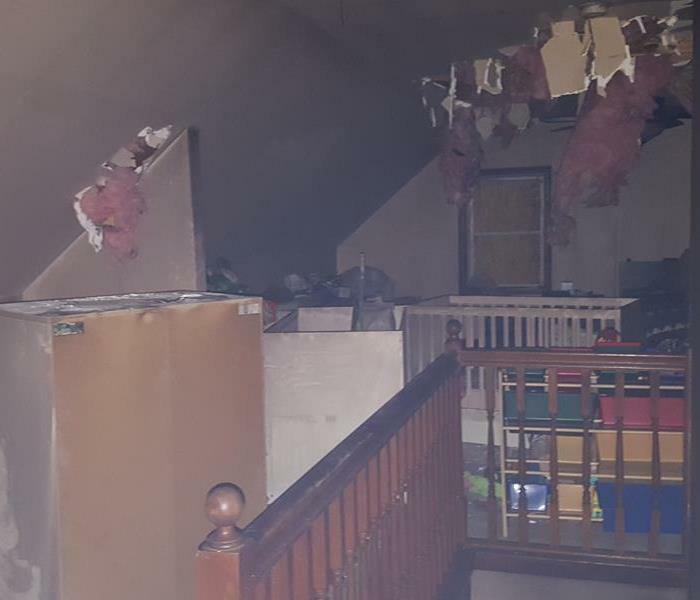 They were able to clean the belongings professionally and restore back to pre fire conditions. During a water loss, it is important to ensure the area is dry of all water and moisture. 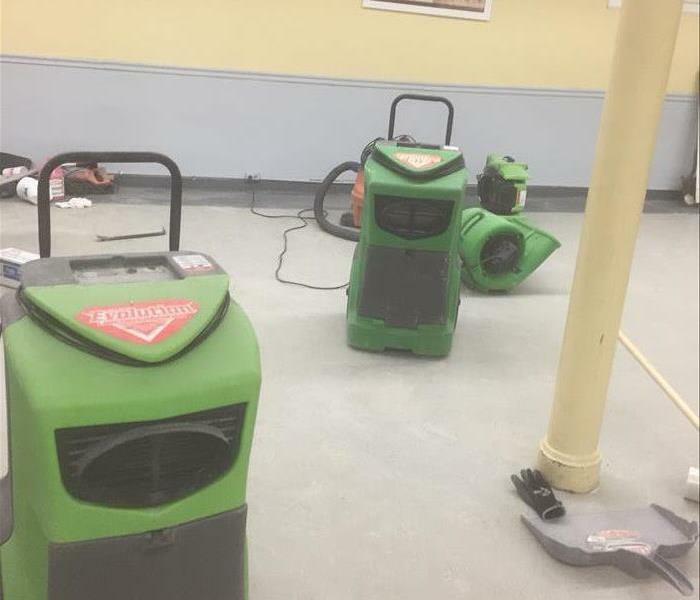 SERVPRO used dehumidifiers to dry this commercial water loss preventing mold and mildew damages. 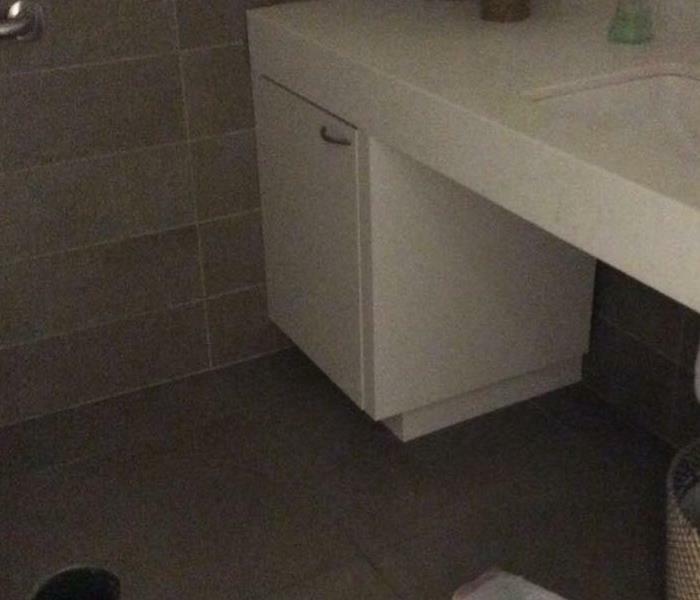 This commercial restroom suffered from a water loss. There was significant water on the floors. 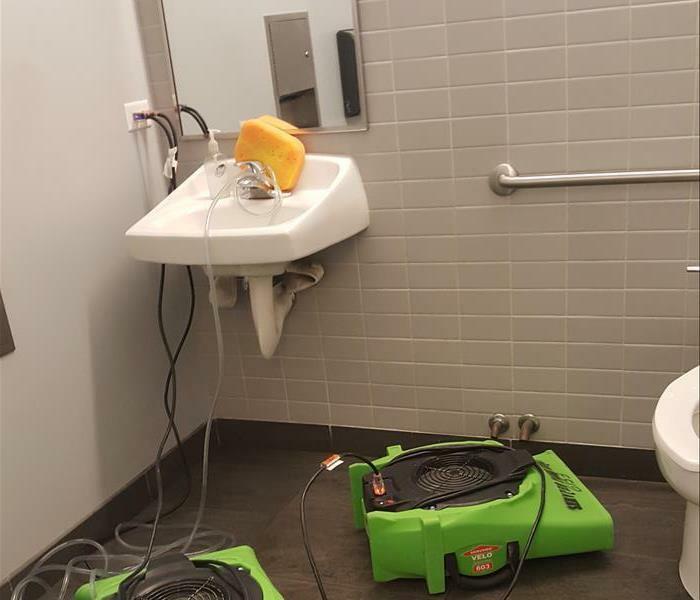 The team at SERVPRO responded and used special cleaning techniques to ensure the restroom was back to normal conditions. 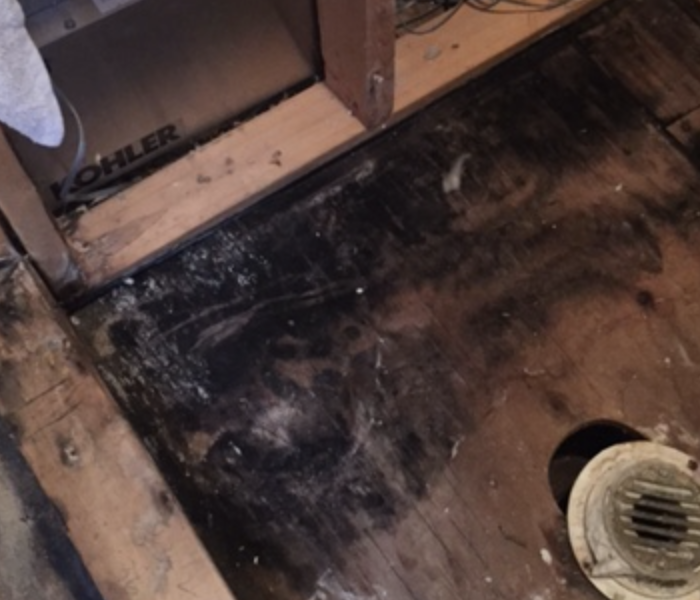 This bathroom suffered from a sewer damage after a water back up. SERVPRO responded with professional cleaning equipment to remove the water. They cleaned, sanitized, and dried the area professionally. 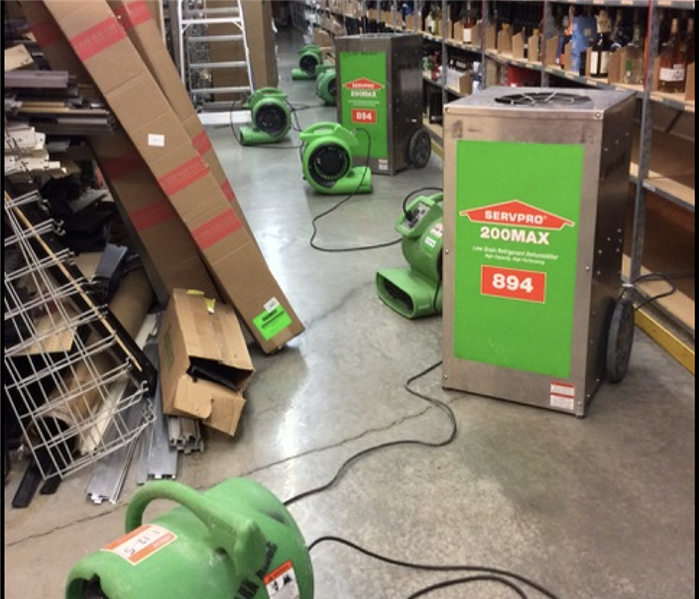 The SERVPRO equipment is up and running after we received a call about a large commercial water loss. Unfortunately, the loss wasn't limited to only the warehouse, but with our amazing team, we got everything back to normal! What do you do when your business experiences a large water loss? First of all, there is no need to worry. Call SERVPRO of Park Ridge. We have the best equipment, technology, and team to deal with ANY size loss. 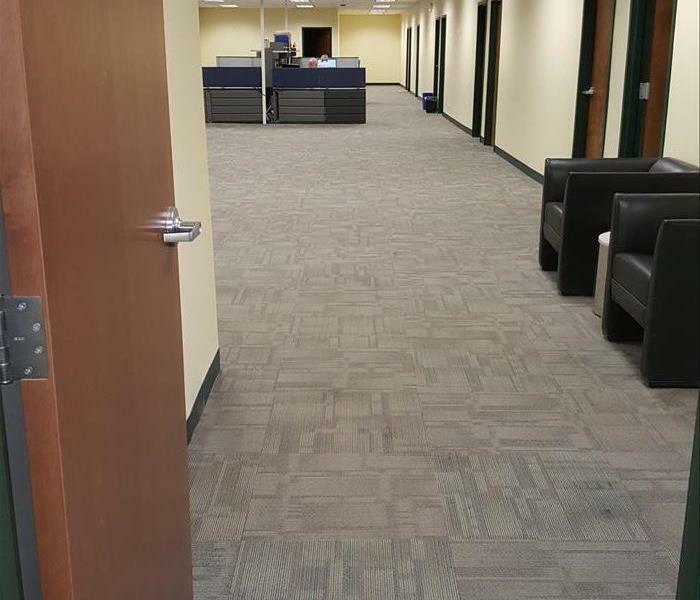 This office suffered from a water loss after a pipe break. The floors were flooded with significant amounts of water. SERVPRO responded and extracted the water and packed up belongings from the office to prevent future damage. 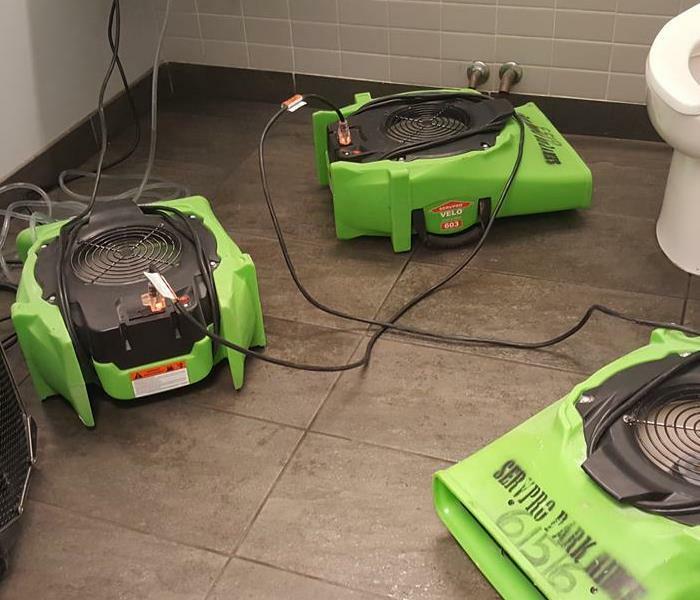 SERVPRO of Park Ridge has professional cleaning equipment ready for any type of restoration emergency, including water, fire, storm, or mold. Contact us 24/7 day or night. We are ready anytime. If you have a fire in your home, you will notice a strong odor after the situation. SERVPRO of Park Ridge will place special air scrubbers in your home to start the deodorization process. If you have any questions, please contact us at (847) 795-9200. How to I keep damage from spreading after a fire? It is important if you have a fire loss in your home to make sure you do not further contaminate other areas of your house. 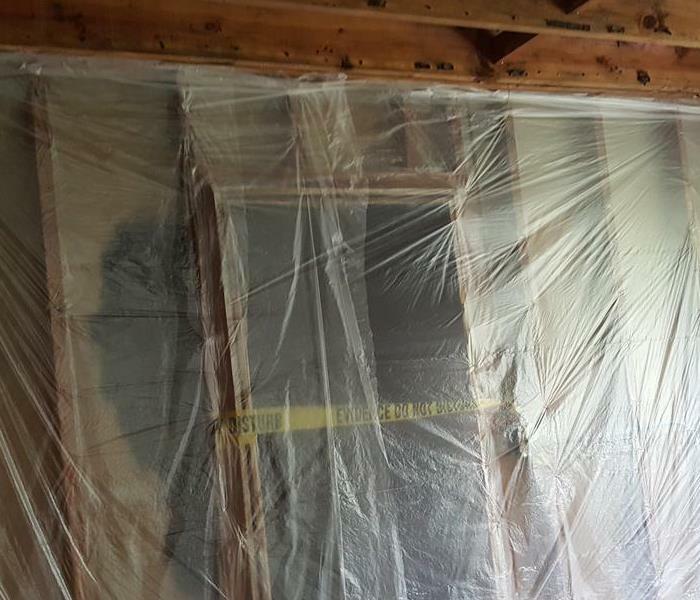 A reputable restoration company like SERVPRO of Park Ridge will be sure to set up proper containment in your home. How do I get rid of smoke and soot damage? If you have a fire in your home, it is possible that you will have significant soot and smoke damage. SERVPRO of Park Ridge can help you from start to finish. It is important to follow all proper steps and procedures when cleaning up after a fire loss. Have a licensed restoration contractor like SERVPRO of Park Ridge do an assessment. Make sure to take plenty of pictures for documentation purposes. Do not touch any belongings to prevent spread to further objects. Follow the recommended steps to complete cleanup of microbial growth. 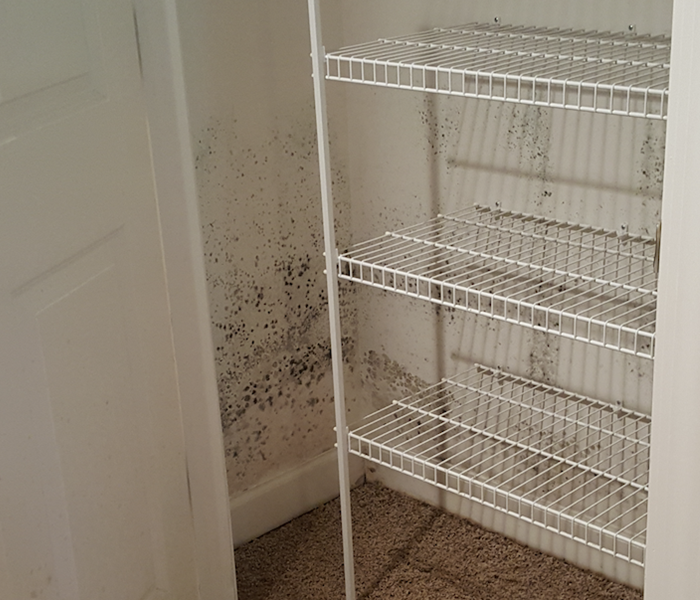 How do I eliminate mold in my home? It is important to contact a licensed restoration contractor. 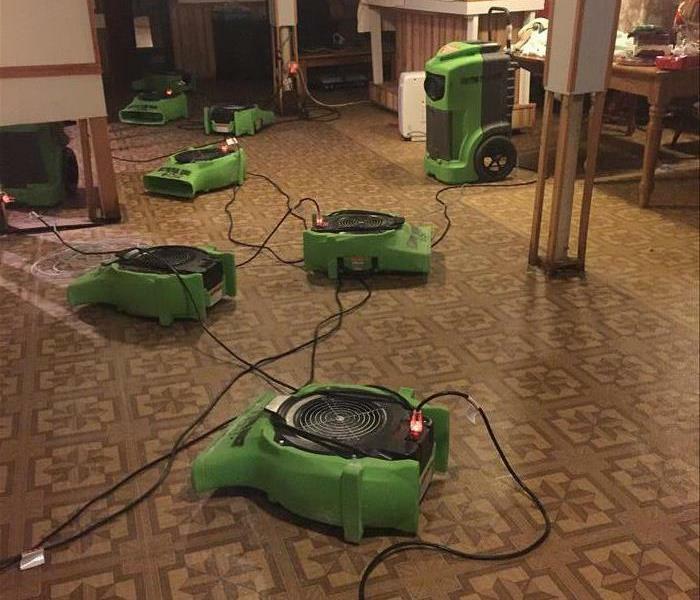 SERVPRO of Park Ridge has the team and experience to make sure that each step is properly documented and the job is completed correctly from start to finish. 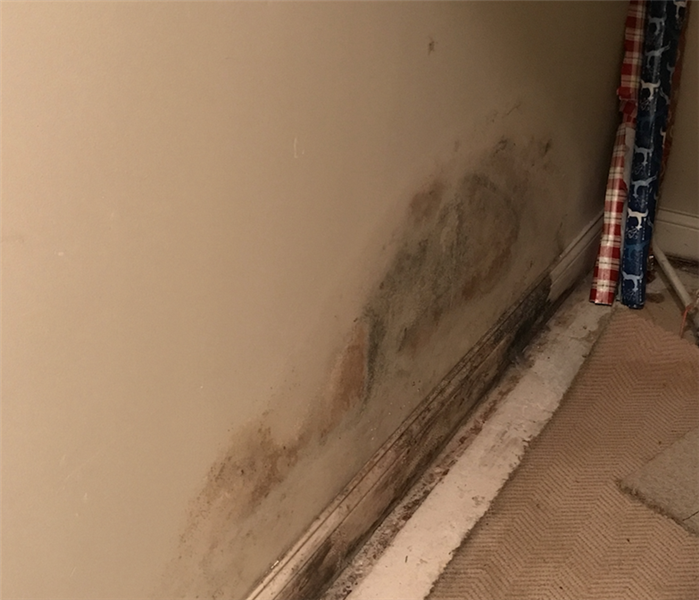 Do you have an issue with mold in your home? If you have mold in your home, it is important to contact a licensed restoration company immediately. SERVPRO of Park Ridge is available 24/7 to help, assist and complete the issues of microbial growth in your home. This closet had a blackish color mold growing in it. 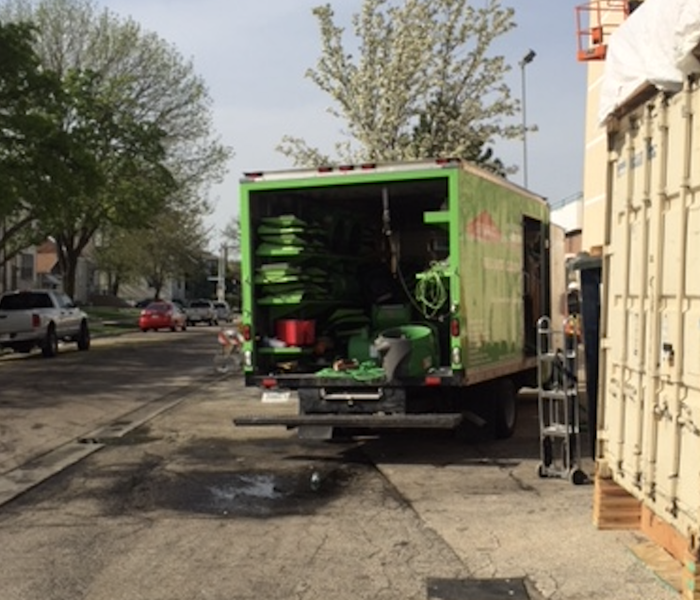 SERVPRO of Park Ridge was quick to begin the cleanup process and get it back to pre loss condition. It is very important to act fast and make sure everything is documented along the way. This wall had a nasty type of mold growing on it. 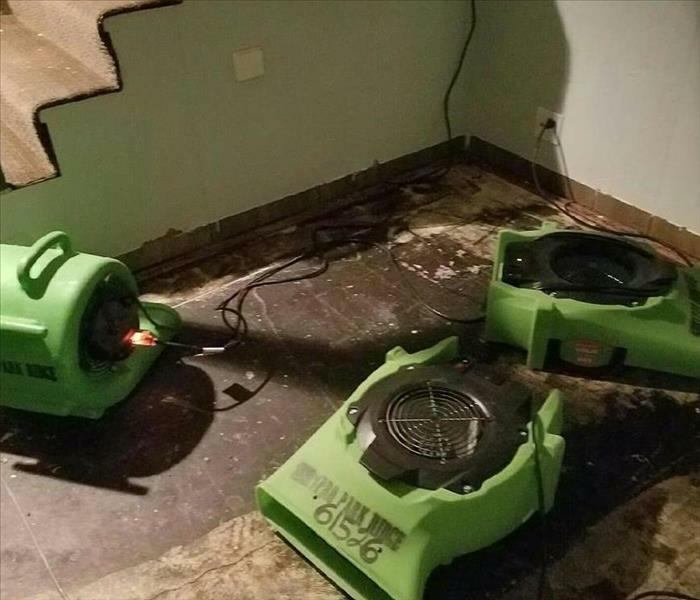 SERVPRO of Park Ridge was quickly able to help and begin the restoration process. If you have any questions on how to clean and remove mold, give us a call at (847) 795-9200. This home had a lot of mold damage. 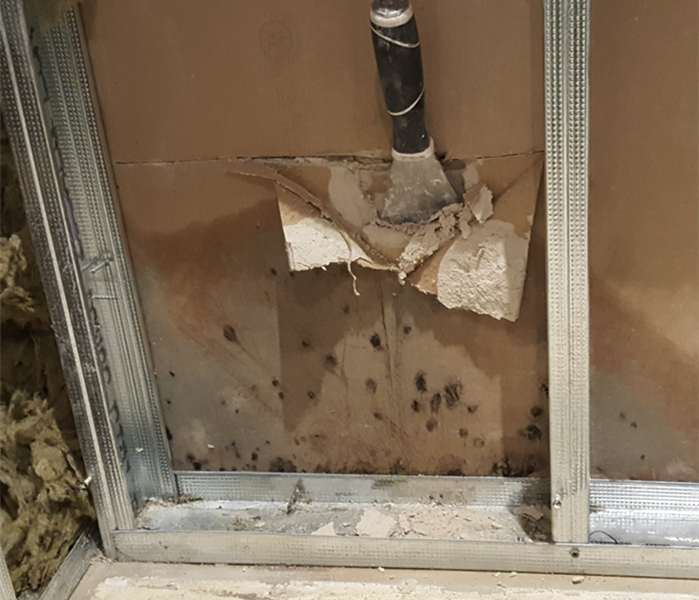 This was caused from a lot of moisture buildup in the walls. 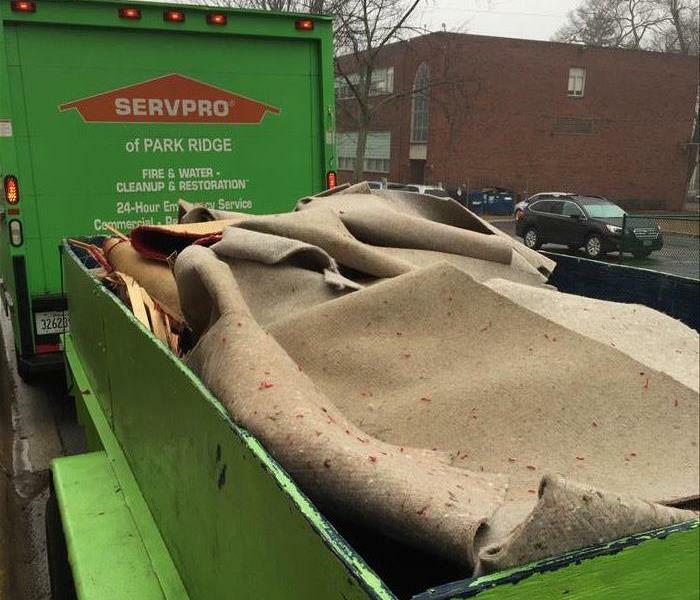 SERVPRO of Park Ridge was able to help remove the affected materials and clean to get back to normal. 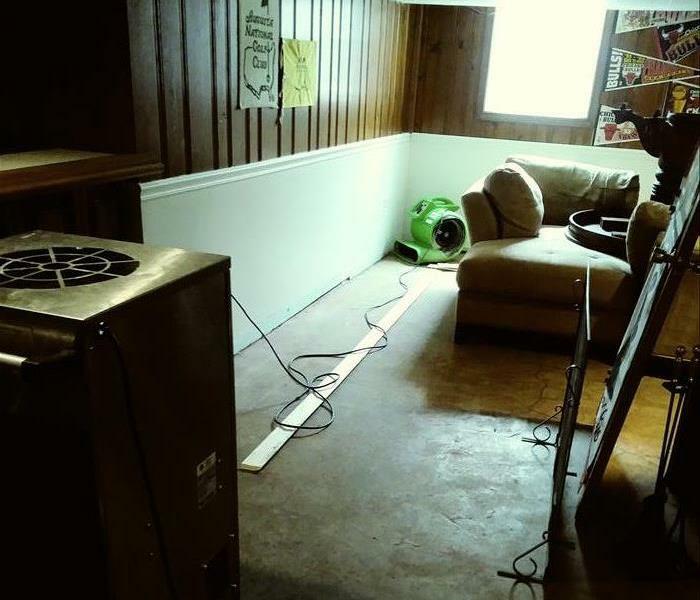 SERVPRO of Park Ridge quickly responded to this home that had a lot of water damage. We had to remove most of the drywall and disinfect the inside of the walls. Once it was all clean, we were able to place drying equipment and get this home ready for rebuild. This mechanical room had significant water damage. 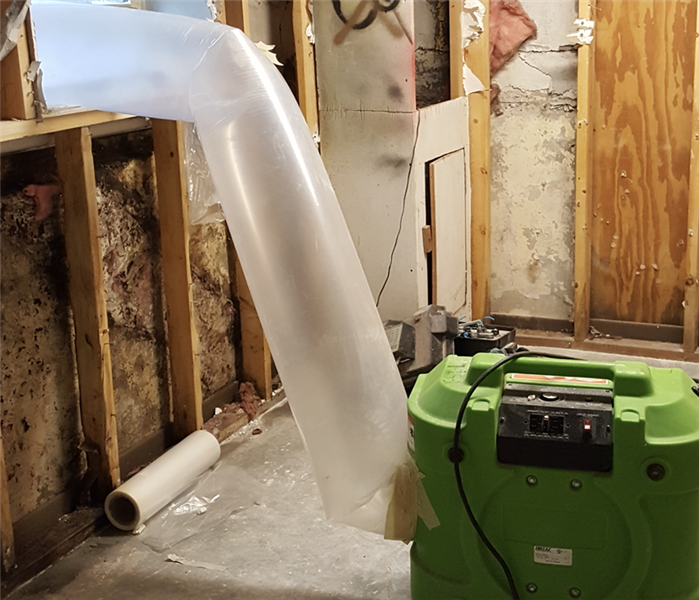 SERVPRO of Park Ridge had to remove much of the drywall due to the contamination from outside flood water. If you have any questions about our storm response team, you can reach us directly at (847) 795-9200. This storm caused significant damages to this home. 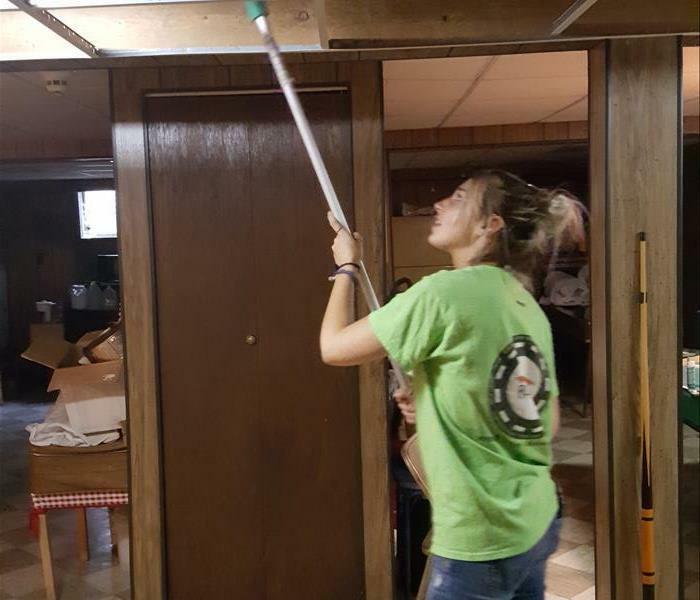 SERVPRO of Park Ridge came in and was able to start to the restoration process immediately. Once we got all of the affected materials removed, we started the drying process to get ready for the rebuild. This storm caused this home to have a sewage backup. SERVPRO of Park Ridge quickly arrived to start the cleaning process and disinfect the bathroom. It is important to follow proper protocols on jobs like this that are recommended by the IICRC. This home had a lot of flooding after a recent storm. 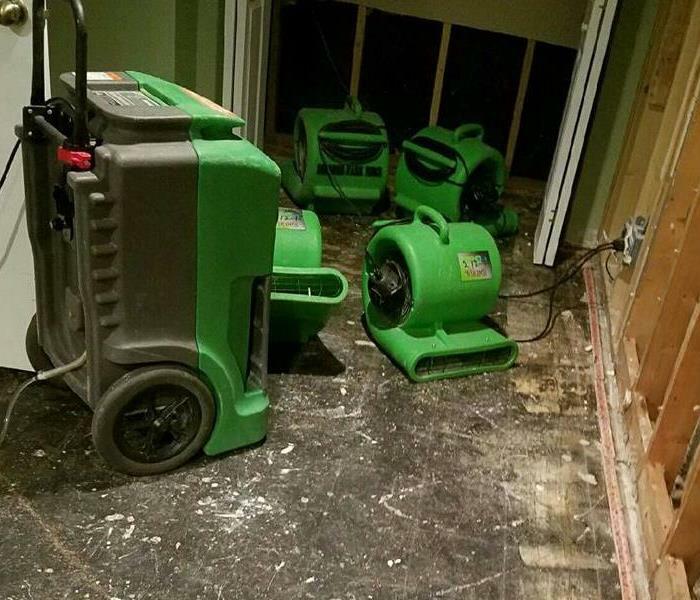 SERVPRO of Park Ridge was quick to start helping, and get all of the water out of the home. We then placed drying equipment and began to get it back to normal. 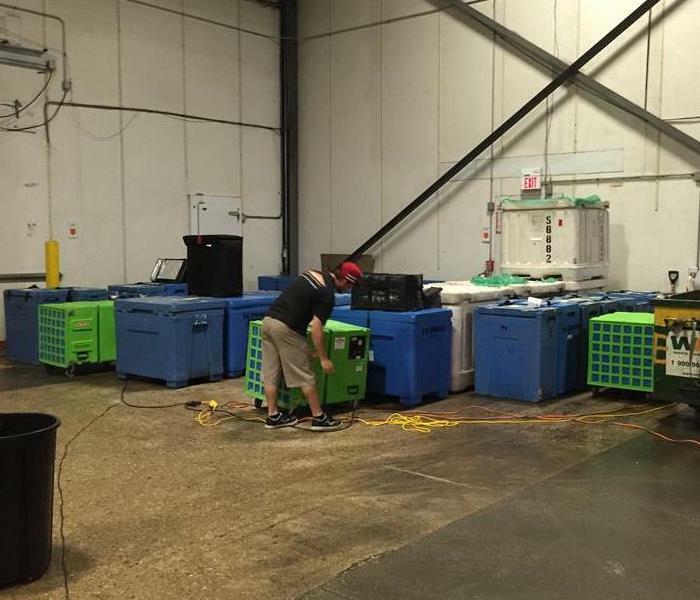 This large facility needed to be clean and disinfected after a water loss. Our team at SERVPRO of Park Ridge was extremely detailed in every aspect of this large job. If you have questions about our Commercial Restoration Services, feel free to call us anytime at (847) 795-9200. This facility needed to be clean from top to bottom. 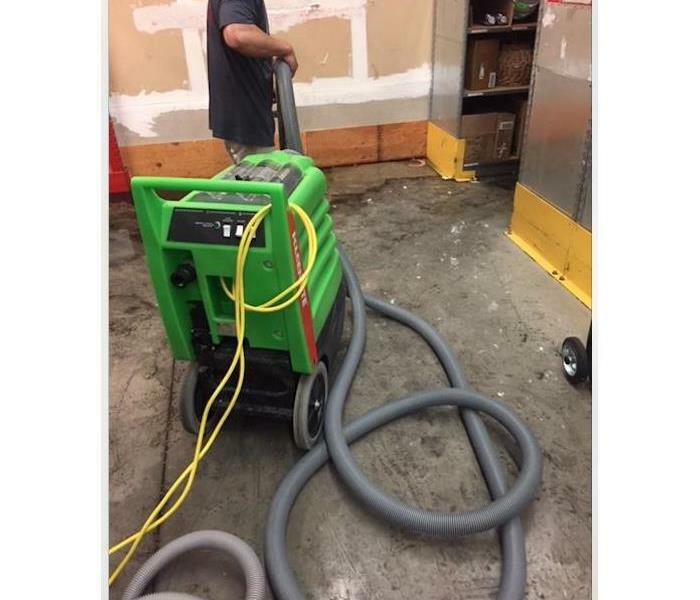 Our team at SERVPRO of Park Ridge was quick to be on site and begin the cleaning process. No job is too small for our team. If you have any questions feel free to reach out to us at anytime at (847) 795-9200. 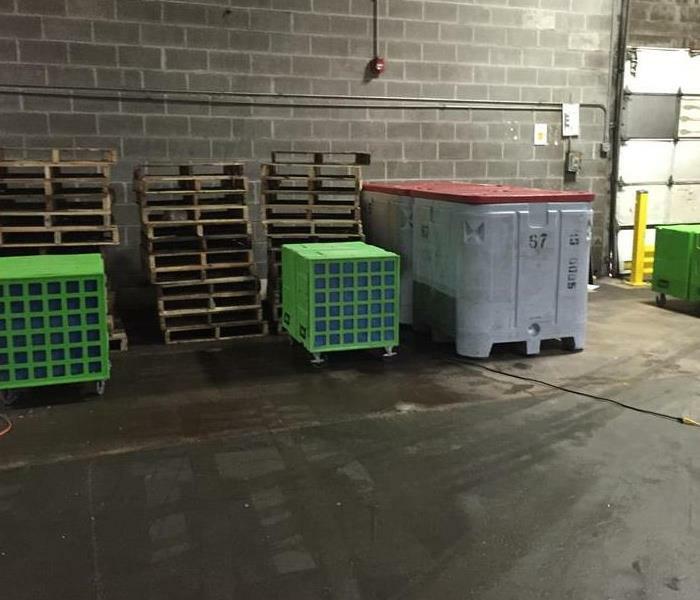 This warehouse had extensive water damage that needed to be removed. 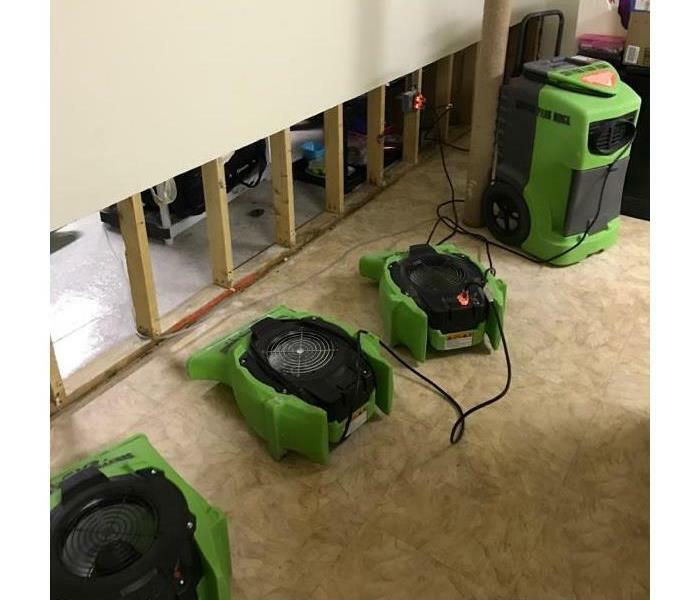 SERVPRO of Park Ridge was quick to respond and start the mitigation process. It is important to make sure all of the water is quickly removed and the structure is dry. This home had a massive fire loss. SERVPRO of Park Ridge was called to quickly come out and begin the cleanup process. Many times a family is unsure what to do when a fire happens. SERVPRO is always here to help, so feel free to ask any questions at anytime. This home had a good amount of water damage. 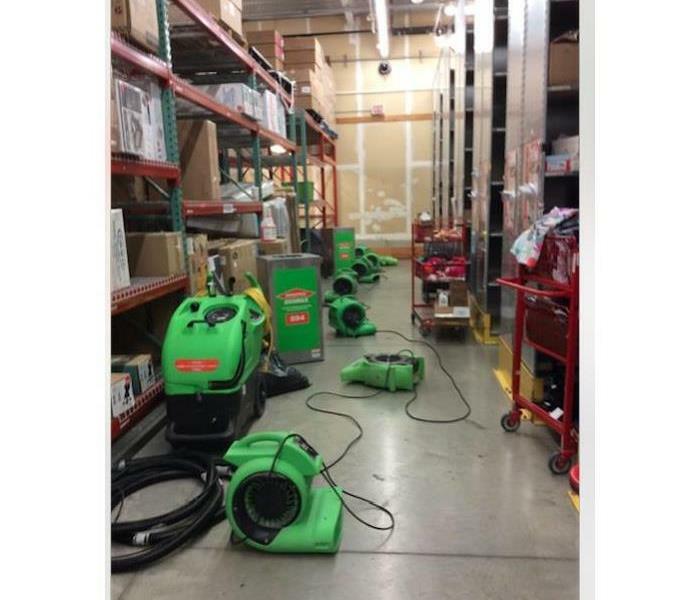 SERVPRO of Park Ridge was quick to get started and remove all of the water. It is critical that the water does not sit to long, for it can start to cause secondary damage. 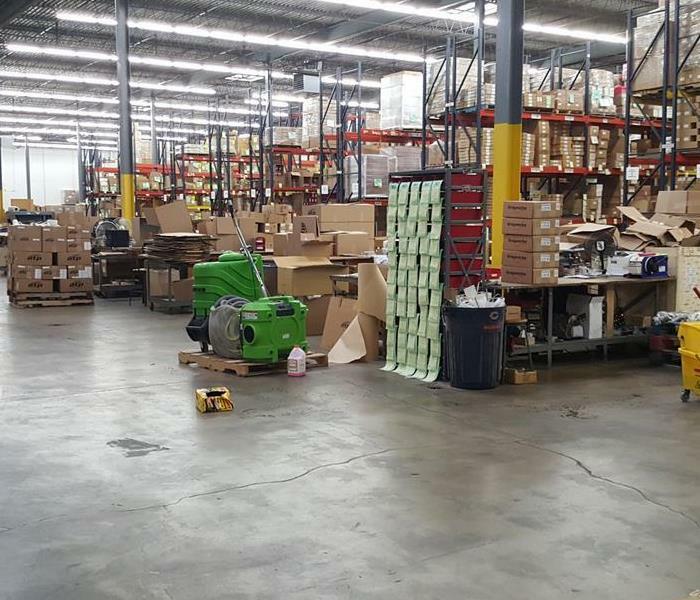 This picture is our team cleaning up a large commercial warehouse. We were quick to respond and begin the cleaning process. We make sure every detail is focused on. 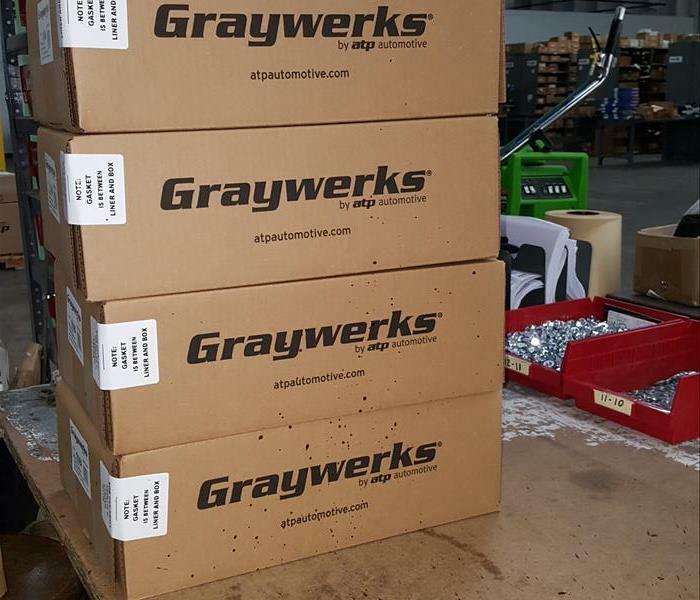 We strive to make sure all expectations are exceeded. This home had significant water damage. Our team at SERVPRO of Park Ridge had to remove all carpet and padding to get prepped before re installing the new carpet. Sometimes the carpet can be saved but in this case it had to be disposed and replaced. 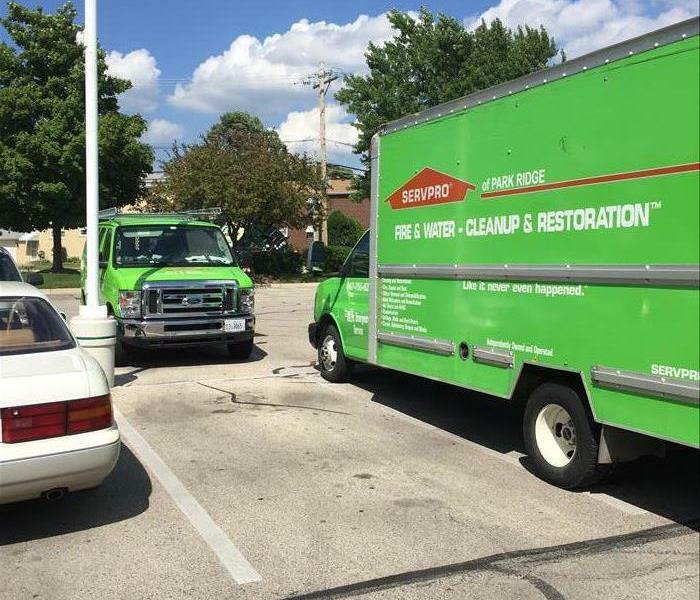 SERVPRO of Park Ridge is available 24/7 to handle any size water loss. We have teams ready to go around the clock to help in your time of need. If you have any questions, feel free to reach out at anytime. 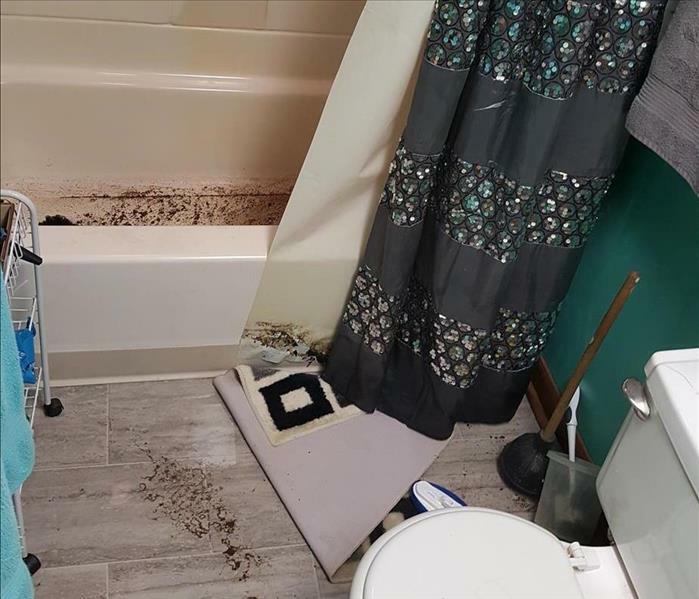 This bathroom had a massive sewage backup but SERVPRO of Park Ridge was quick to respond and begin the cleanup process. Once we got all of the waste materials extracted we began cleaning and disinfecting. This Park Ridge home suffered a bad fire. When the oxygen in the home is used up the soot starts to bond together into webs. Many homeowners see them and believe their home was just dirty before the fire. 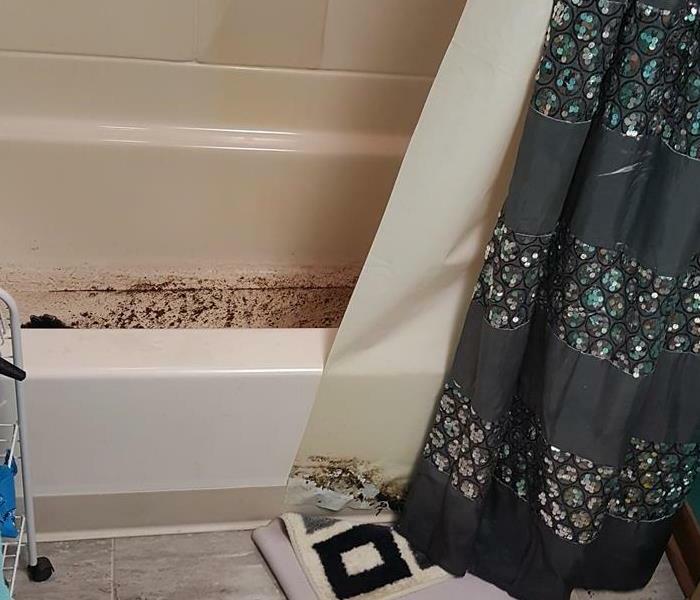 This Chicago home had a sewer back up problem in their bathtub. Sewers back up during bad storms when all the drains are filled with water. Without anywhere else to go the sewer will back up into the home. DISGUSTING! 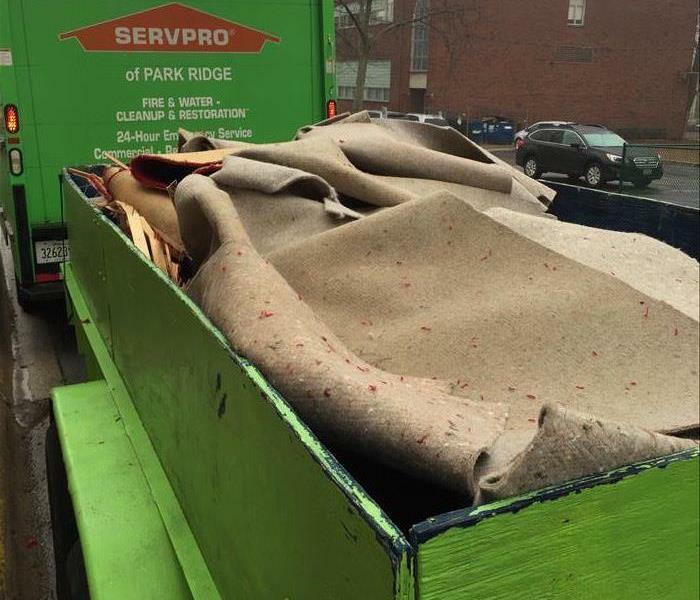 We at SERVPRO of Park Ridge understand the importance of keeping your home and dumpster clean after a fire, water, or mold damage. We have the capability and experience to restore your home to pre loss conditions and take all the unwanted debris with us. 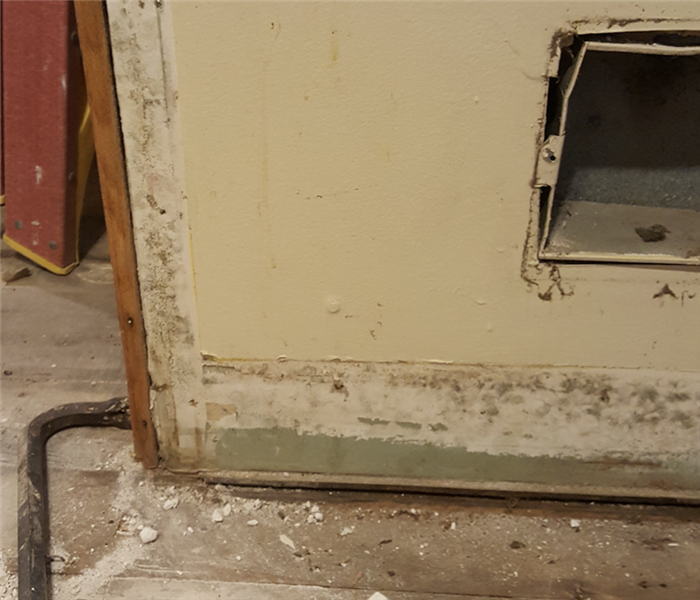 Flood waters can be grossly contaminated and when it entered this Park Ridge basement it contaminated their drywall and carpet. In order to assure the health of the occupants we cut out all contaminated construction, disinfected the area, and made sure it was dry before starting the reconstruction efforts. Our team responding to a broken pipe. After removing the excess water we began drying by placing air movers across the carpet. It is important to make sure the right amount of equipment is used.